A sustainable solution is defined by Solvay’s Sustainable Portfolio Management tool as a product in a given application which makes a greater social and environmental contribution to the customer performance and at the same time demonstrates a lower environmental impact in its production phase. Within Solvay, the Global Business Units are accountable for delivering sustainable business performance and contributing to the Group target of generating 50% of revenue from sustainable solutions by 2025. Solutions: to be considered as part of the “solutions”, products must serve in an application that demonstrates a direct, significant, and measurable benefit (social or environmental) to society at large. They must not exhibit sustainability concerns and must have a low monetized environment manufacturing footprint compared to the value they bring to society. Neutral: no sustainability impact, positive or negative, identified. Challenges: a sustainability roadblock is identified, or the environmental manufacturing footprint is too high. By the end of 2018, 50% of sales in the assessed portfolio of Product-Application Combinations qualified as “solutions”, a slight improvement compared with the previous year. Most of the progress made over the last five years has been achieved through changes to Solvay’s portfolio and the natural erosion of sustainable solutions into markets standards (neutral), based on market dynamic on sustainable topics. Today, the challenge SPM faces is to maintain 50% in solutions through innovation, organic growth, investment, etc. Sustainable Portfolio Management’s comprehensive, systematic approach reveals an increasing number of new market signals on sustainability that require discussion between the business and its customers to better understand their potential business impact. The Sustainable Portfolio Management systematic portfolio assessment is aligned with the Group’s financial scope. Changes in scope during the year, as outlined in the financial report, are reflected in the Sustainable Portfolio Management scope. In 2018, the portfolio assessment was based for the first time on sales in the same reporting year, i.e. 2018. 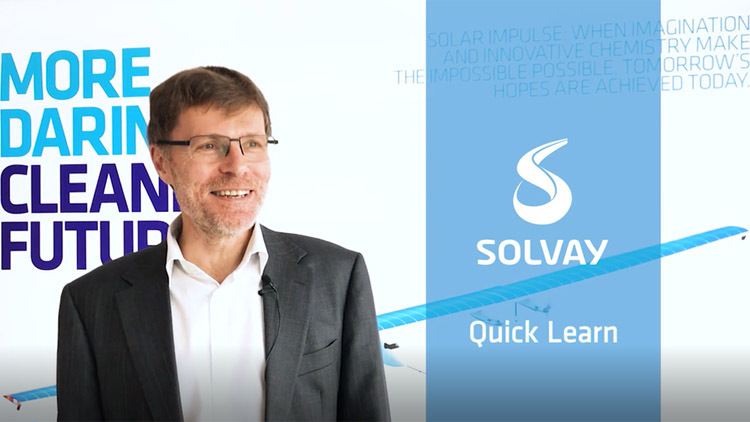 Sustainable Portfolio Management is designed to identify business accelerators or obstacles with respect to sustainability in order to help Solvay’s business deliver higher growth and superior sustainable value. Over the last three years, Solvay’s products have experienced significantly stronger annual revenue growth rates in cases where customers and consumers are looking for products to match their social or environmental needs. (based on 2015-2017 sales with the same product, same application, and same Sustainable Portfolio Management ranking over the last three years, representing 43% of Group sales).